Although I don’t usually post every week, recent walks have brought some good surprises to share. 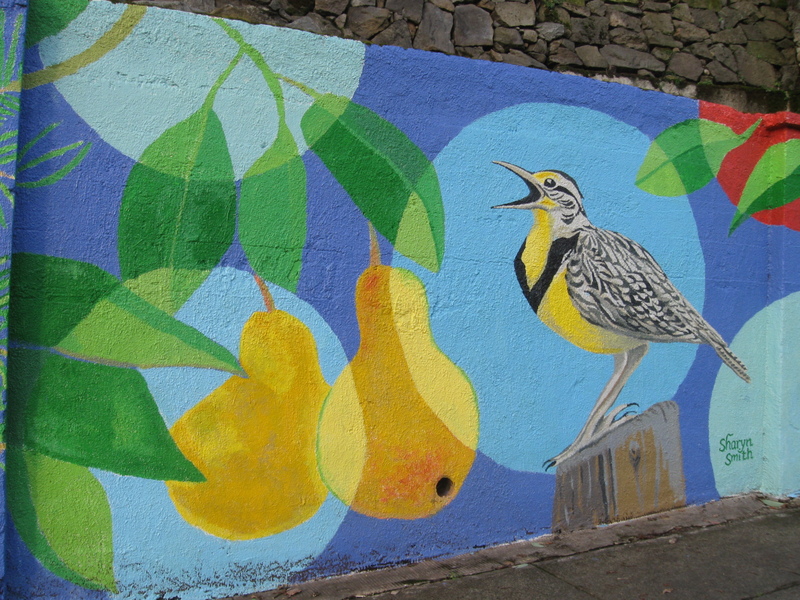 Not only do I enjoy recording evidence of spring trying to assert itself, I have noticed that ours is a paricularly art- and literature-loving neighborhood. 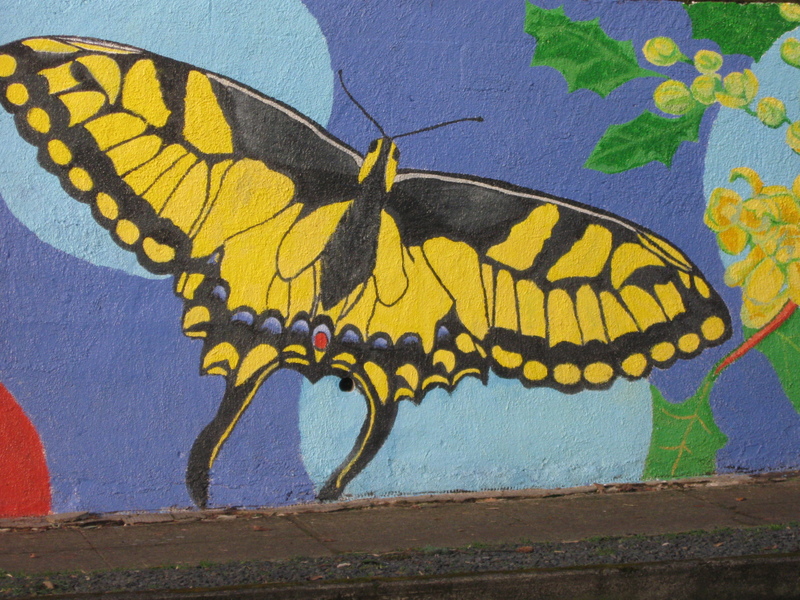 For starters, an eternally sunny mural. 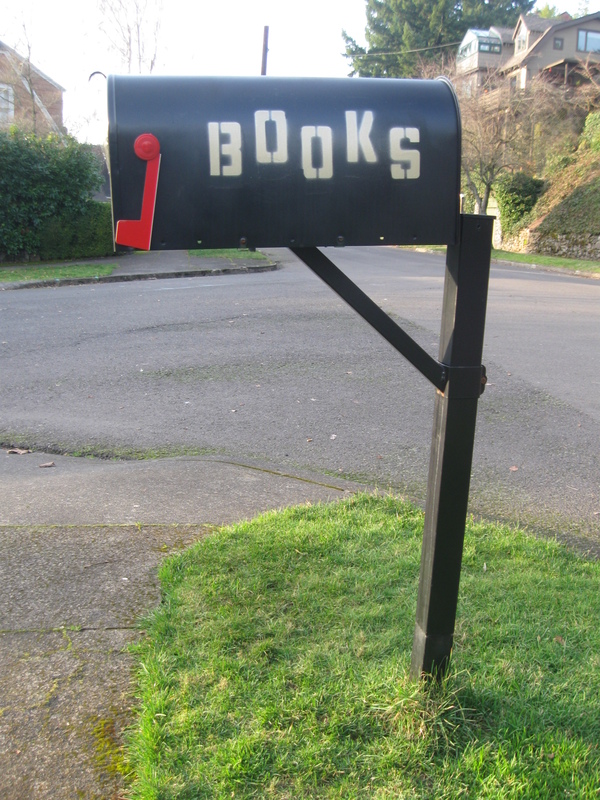 Then I found a mailbox for neighbors to place books for borrowing–what a treat! 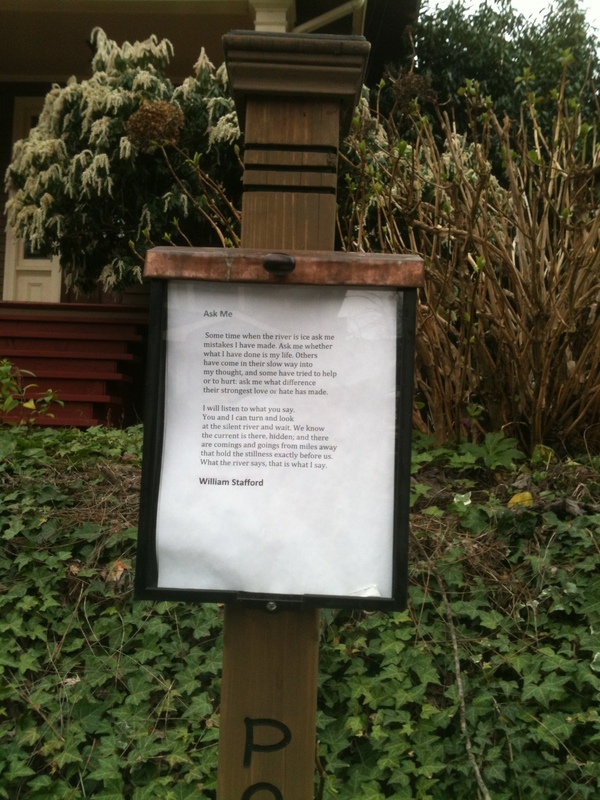 There was one of many poetry posts to read–this one by William Stafford. 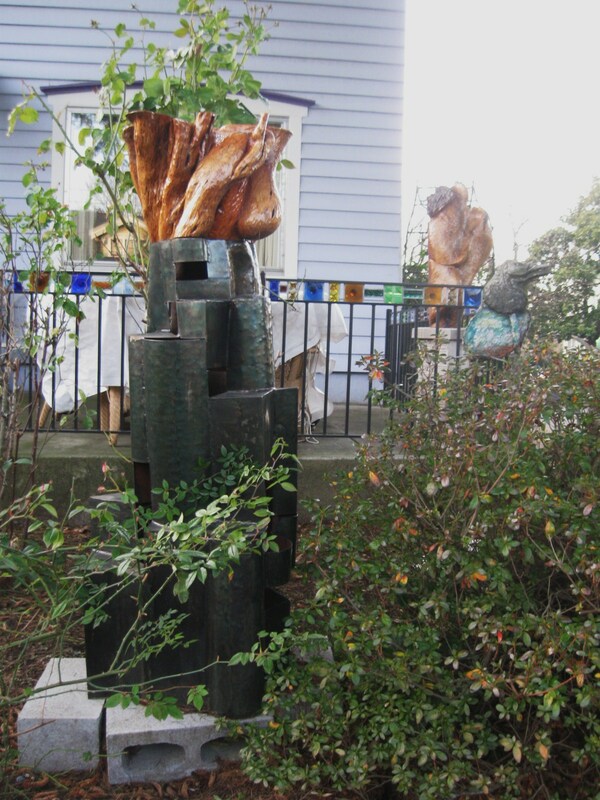 Lots of yard-worthy art. 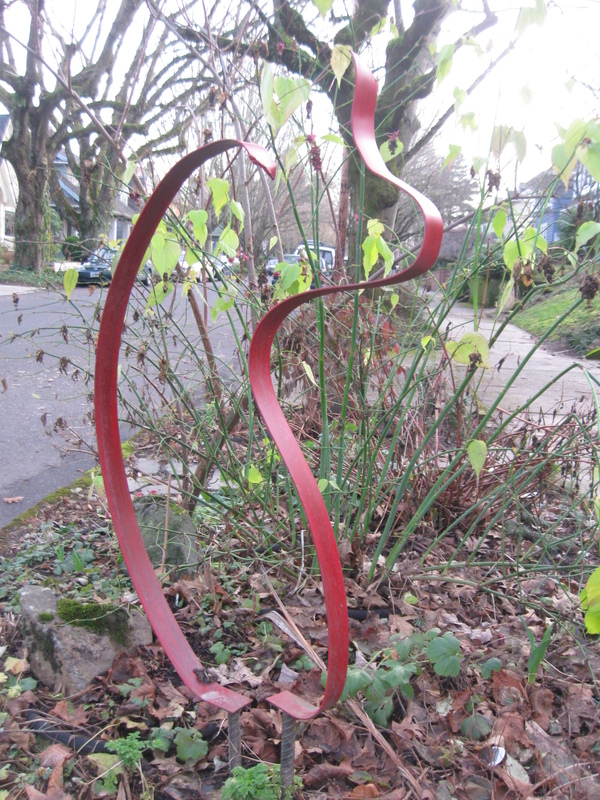 I could do a whole post of interesting artistic works fround right by sidewalks. And who doesn’t like seeing red holiday orbs still swinging in branches? 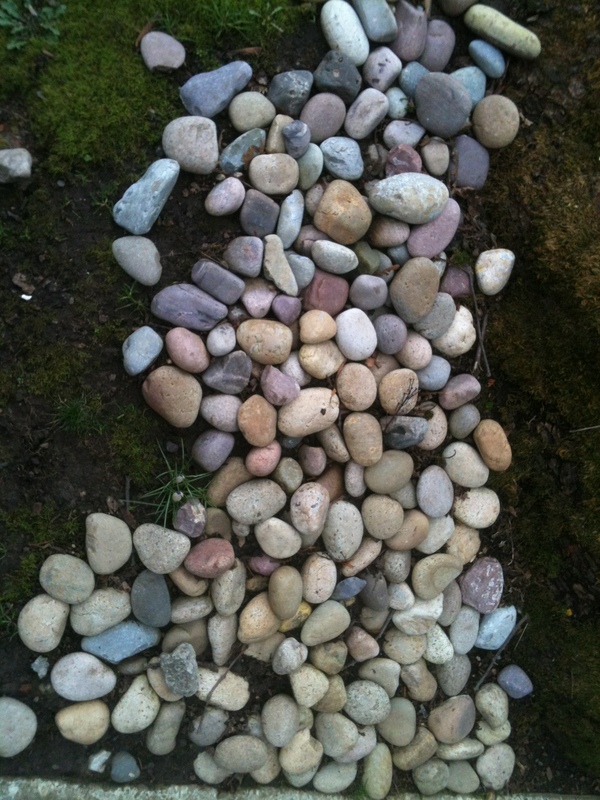 Don’t pass over the lovely stones that someone laid across the earth for all to study and touch. 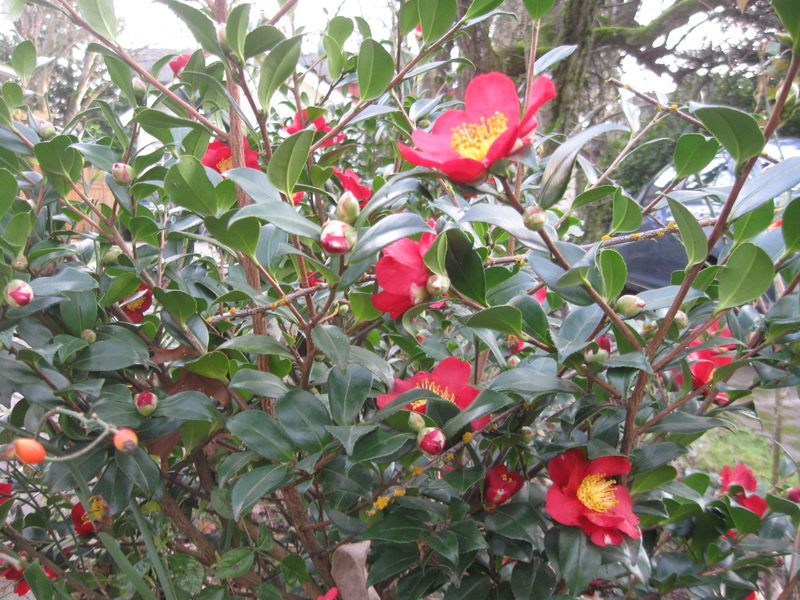 And flowers everywhere–too numerous to share here today. Have a happy stroll with me. I’ll bring you more beauties another time. 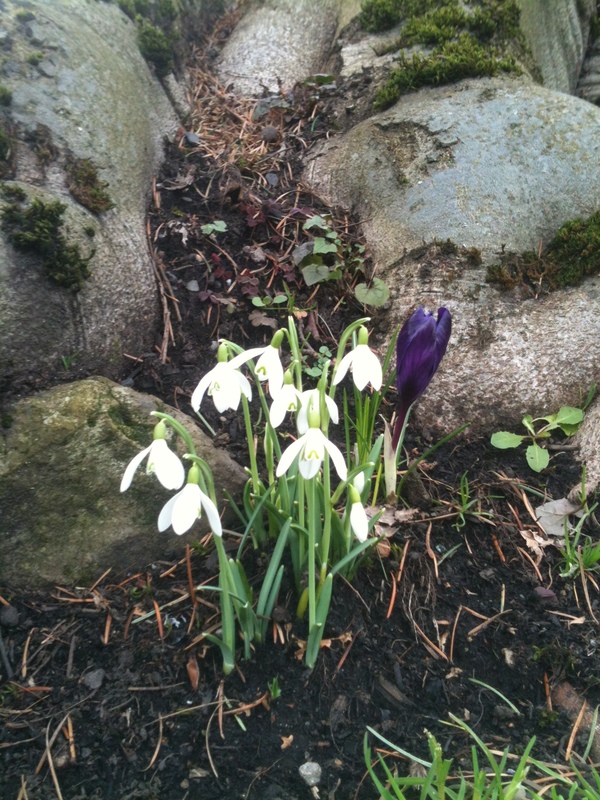 that photo of the snowdrops and crocus ring my chimes! Oh what a deliciously precious time of year! Yes, they do herald spring. We have daffodils and many other flowers blooming, also! Hope you will check out my posts again! Hi Jane–I’m not sure where you live in the midwest, but I grew up in Michigan–snow was ubiquitous in winter and spring was sooo slow to arrive. 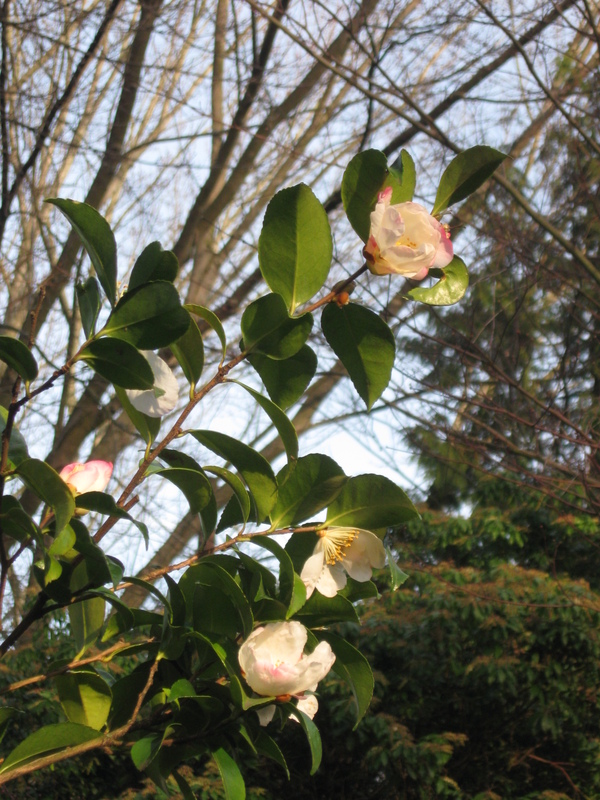 I’m glad you enjoy my pictures of the Pacific Northwest from time to time–and reading my blog posts!